With the season of endurance underway, we pick five combinations from the 2018 Enduro Cup pairings to look out for across the 2100km of racing. Starting this weekend with the Sandown 500, the Enduro Cup then heads to Bathurst for the 1000km classic before heading to the Gold Coast and 600km of racing over two days on the streets of Surfers Paradise. The form some drivers have shown this year puts them in good stead coming in to the first race of the four, while last year’s results over the endurance races will boost the confidence of some teams. Scott McLaughlin and Alex Premat are well overdue for success in the biggest races of the year despite winning one race together last year. After first pairing at GRM in 2014 and 2015 in the Volvo S60, the partnership was rekindled last year when the Frenchman teamed up with McLaughlin at DJR Team Penske after a a one year break while Premat was at Triple Eight. A second place at Sandown was a good start and McLaughlin’s lap record at Bathurst in qualifying put them as favourites heading in to the biggest race of the year. However, an engine failure not even halfway into the race put them down and out, while a poor result on the first day of racing at the Gold Coast didn’t help. Sunday’s race around Surfers Paradise saw a turn around with a win from outside the top ten on the grid, getting McLaughlin’s championship charge back on track. McLaughlin’s early season form this year as well as Premat’s experience in the Supercar will see them as a strong pairing. Jamie Whincup and Paul Dumbrell are entering their seventh year together at Triple Eight, a long-time partnership which has netted good and bad results over the years. Back in 2012 when they first paired up, they won the Bathurst 1000 on the smell of an oily rag and have had potential to succeed in subsequent years but have unfortunately missed the mark. Potential wins in 2013, 14, 15 and 16 at the Mountain didn’t eventuate while Whincup and Dumbrell are possibly the strongest pairing still to win the Enduro Cup. It will likely be their last campaign together and they’ll be wanting to go out with a bang as a fifth Bathurst win eludes the seven time champion. Shane van Gisbergen and Earl Bamber will come together for an all-Kiwi line-up in the #97 Red Bull Holden Racing Team car. Both have incredible records as international GT drivers and together could be a potent force in the Enduro Cup given their tin-top form. This year is Bamber’s debut as a Supercars driver, meaning he could be a potential liability though with two 24 Hours of Le Mans wins under his belt and being the reigning World Endurance Champion, he’s far from a rookie. Van Gisbergen comes into the Enduro Cup as the championship leader in Supercars, but don’t expect him to attack the four races at anything less than 100%. He and the team are finally starting to hit their stride in the ZB Commodore, capitalising on the recent struggles of his rivals to re-take the title lead. While there will still be a question mark over Bamber, this combo is still considered one of the strongest in the field. 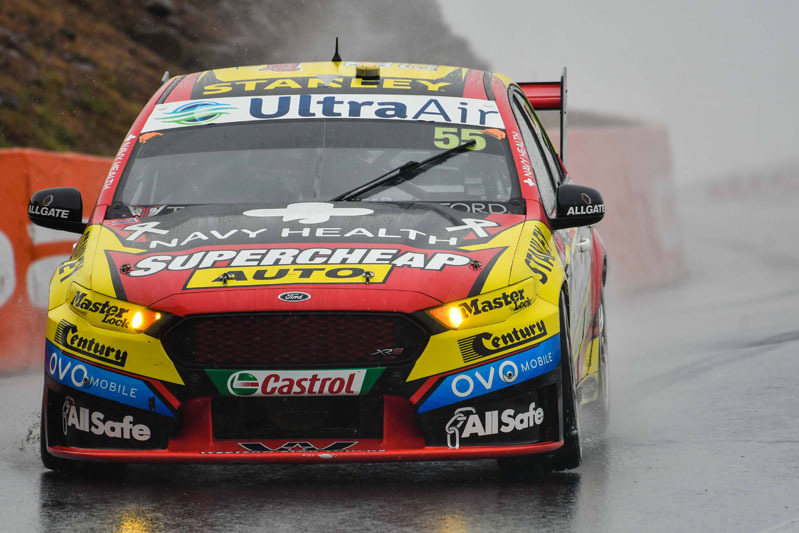 David Reynolds and Luke Youlden were Holden’s heroes last year at Bathurst, winning the 1000km classic in the rain after a day-long slog. After Youlden was ousted from DJR Team Penske at the end of 2016, he joined Erebus for the 2017 endurance campaign and started well, winning the opening qualifying race while showing the car had genuine pace. The duo used that speed for good at Bathurst, taking second on the grid and going on to win together. This year has been hot and cold for Reynolds with two wins so far, but there have been some rounds where he’s been completely off the mark. Given their speed here last year and a good working relationship, expect the #9 Penrite car to be fighting at the pointy end over the three rounds. Chaz Mostert and James Moffat are joining forces in 2018 to be an experienced pairing with a total of 13 full-time seasons between them. Capitalising on Tickford’s strong form, Mostert won the Enduro Cup last year despite not winning a race alongide Steve Owen (who this year partners with 2017 Sandown 500 winner Richie Stanaway). Moffat was a full-time driver from 2011 right through to the end of last season when he lost his seat at GRM, and this year has been racing in the Carerra Cup series to remain in the driver’s seat. His experience in Supercars will make him a good co-driver, especially to someone like Mostert who has had to do a lot of the heavy lifting in the past. Despite Tickford’s struggles this year in the championship, their combined experience and speed will make them a force to be reckoned with. The 2018 Enduro Cup action kicks off this weekend at Melbourne’s Sandown Raceway where the field is embracing “Retro Round” for the third year running, paying homage to the sport’s history.